Honorable Mention winner of the Duravit Unbuilt category, Martin de Sousa, utilized DuraSquare fixtures to create a luxurious bathroom. 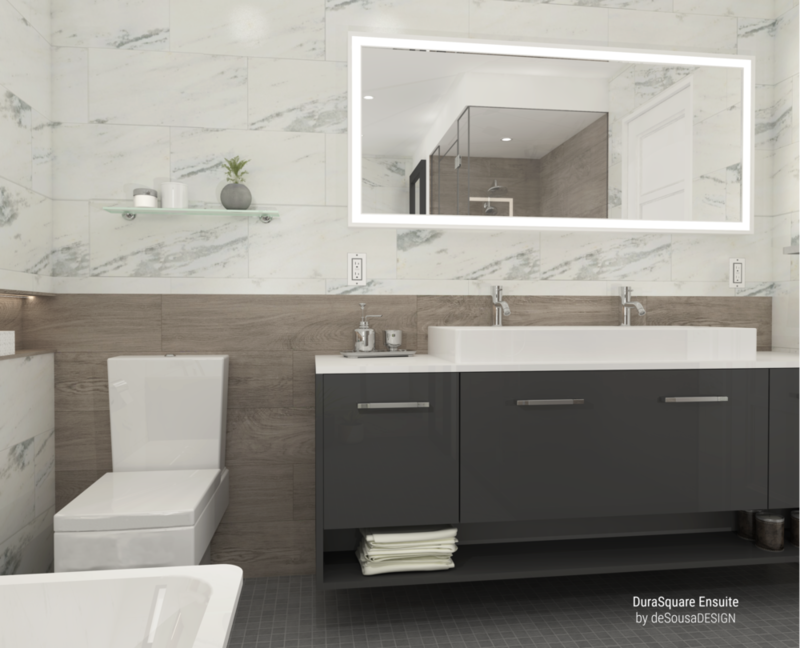 deSousa’s design incorporated DuraSquare washbasins and a DuraSquare tub to suit the entrant’s ‘contemporary style,’ creating a modernist, minimal look. Other Duravit product used included a Vero toilet to complement DuraSquare’s geometric lines, and a Stonetto Shower Tray to tie together the natural palette of the entire ensuite.